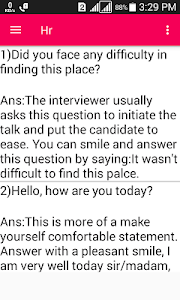 Hey Fresher,you're at the right place if you are looking for the app for job Interview questions and Answers. This app is free and this includes google Ads(only source of Income). 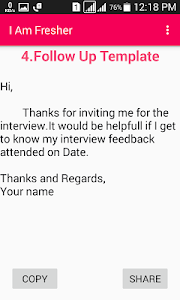 App includes frequently asked question for freshers in interview. -Simple user interface and requires no internet connectivity. 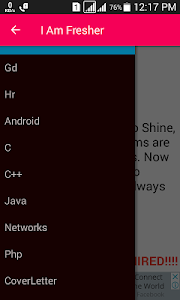 -Includes GD tips and GD topics. 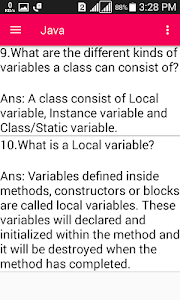 -Includes HR question and Answers. Disclaimer:This app is attempt to help the freshers for Job Interviews. All trademarks, trade names, or logos mentioned or used are the property of their respective owners. All information is collected from internet. 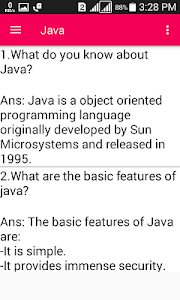 Added some more Question and Answers. 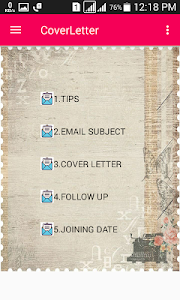 New Section added-CoverLetter that includes Email Templates for Freshers. Similar to "Fresher Interview Q & A"